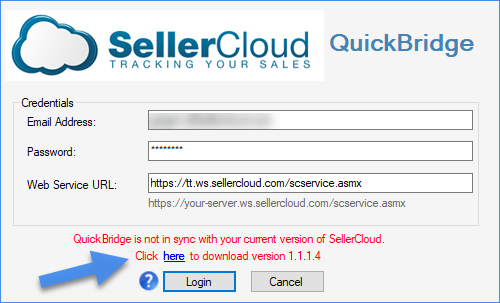 You can find the latest QuickBridge version to download on its Release History page or the SellerCloud Support Portal (requires login) > QuickBridge. 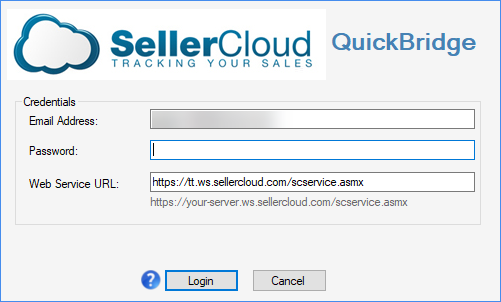 Web Service URL (https://your-server.ws.sellercloud.com/scservice.asmx) - Your unique server ID as shown below. Click Login to open QuickBridge. The QuickBridge Release History opens with all versions; click Download on the correct version. You can log in after a successful download/installation.